Goat 20 N is designed to be fed to goats producing meat, milk and hair. This unique supplement not only supplies protein, minerals and vitamins, but also increases the total amount of energy goats get from every pound of feed consumed. This block is the product of a state-of-the-art patented manufacturing process that provides a unique 24-hour feed delivery system. Goat 20 N is an exceptionally nutrient-dense block that will maximize performance and profitability. Economical: A low feeding rate of 2 to 4 ounces per head per day means lower feeding costs (on a per head per day basis). Weather Resistant: The patented, “continuous flow” system creates a low-moisture, exceptionally dense block that maintains its integrity even in hot, humid weather or precipitation. 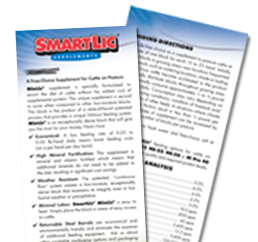 Minimal Labor: SmartLic® Goat 20 N is easy to feed. Simply place the blocks in areas of easy access to the goats. 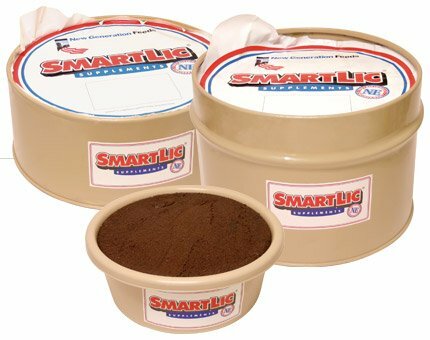 Available in 60 lb and 125 lb Tubs: The 125 lb steel tubs are returnable and environmentally friendly. Ask us about other available packaging options and tub size availability. When an all-natural, all-vegetable protein is desired for your goats, Goat 20 N is the smart choice! Goat 20 N contains only natural vegetable protein sources – no animal proteins. 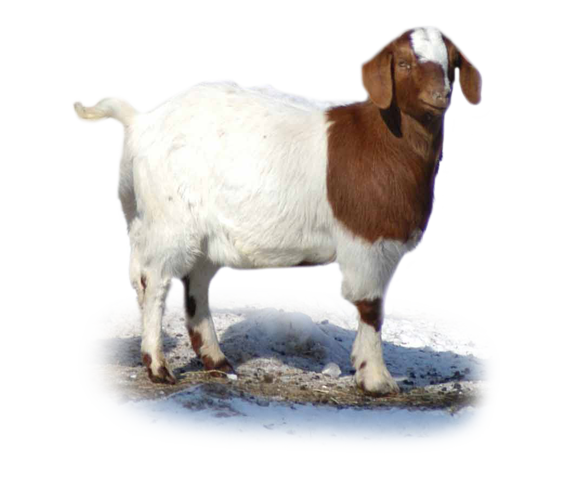 Goat 20 N is recommended when ammonia-treated forages are part of the diet. Provide free-choice as a supplement to all classes of goats. Feed at a rate of one block per 15 to 30 head. Place in pasture or paddock near areas frequented by goats, such as water, shade or loafing areas. Goats normally consume between 2 and 4 ounces per head daily. Consumption may vary depending on climate, browsing/grazing conditions, and availability of other feeds. In situations where consumption is less than 2 ounces, intake can be increased by providing additional blocks in each pasture.